Effective now, Extreme Elk Magazine has merged with Elk Hunter Magazine!! The title of Extreme Elk will be going away, but many popular features from Extreme Elk will be added to the awesome line up of content that already exists in Elk Hunter Magazine. We are bringing the best of both magazines together to create one awesome, united elk hunting magazine. I will continue as the nutrition and fitness editor, along with the editors from EHM and Extreme Elk, Corey Jacobsen and Dirk Durham. For more information or to subscribe visit www.westernhunter.net and click the subscribe button. MISSOULA, Mont.—The Rocky Mountain Elk Foundation is pleased to announce an agreement with CarbonTV that allows online viewers the ability to watch the first three seasons of RMEF Team Elk for free. Launched in 2013, CarbonTV describes itself as the premier online video destination for premium outdoor-themed shows and engaging personalities with a mission to provide the best quality and exclusive content covering the widest range of topics to the outdoor enthusiast. Viewers can watch their favorite outdoor shows for free, 24/7 on www.carbontv.com. Since RMEF Team Elk is part of CarbonTV’s ambassador program, RMEF will receive a $1 donation for each viewer who subscribes to CarbonTV, again at no charge, through this link (http://bit.ly/1I2CESt). RMEF Team Elk will be available for viewing on CarbonTV beginning Monday, June 1. It currently airs Mondays at 9:30 am., Saturdays at 6:30 pm., and Sundays at 5:30 pm., (all times ET) on the Outdoor Channel. 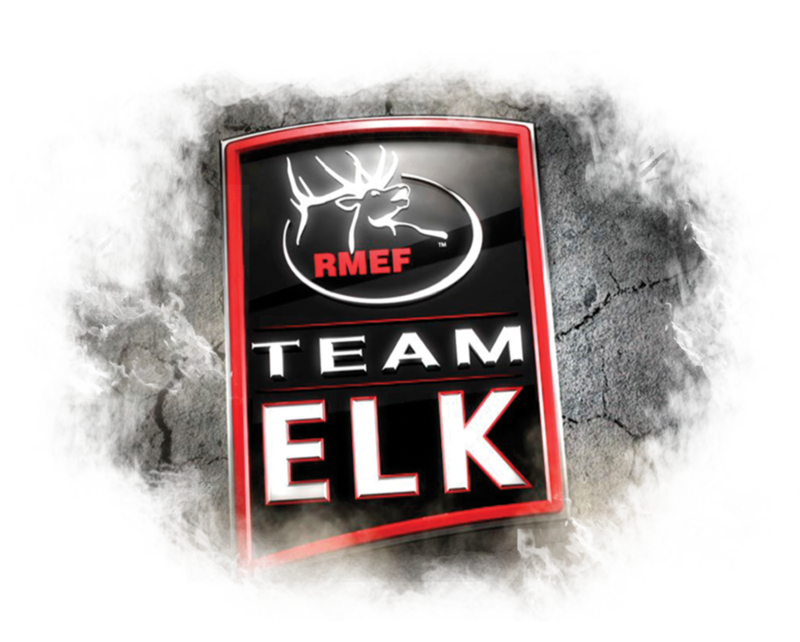 Presented by Cabela’s and hosted by Brandon Bates, RMEF Team Elk focuses on elk, elk habitat and elk hunting. Other sponsors include Archer Xtreme, Browning, Buck Knives, Danner, Eberlestock, Flextone, goHUNT.com, Grizzly Sleeping Bags, Montana Canvas, New Holland, Nosler, onXMaps Team Hunt, Peak, PSE Archery, Sitka, Yamaha, YETI Coolers and Zeiss. Founded over 30 years ago, fueled by hunters and a membership of more than 205,000 strong, RMEF has conserved more than 6.6 million acres for elk and other wildlife. RMEF also works to open and improve public access, fund and advocate for science-based resource management, and ensure the future of America’s hunting heritage. Discover why “Hunting Is Conservation™” at www.rmef.org or 800-CALL ELK. Does the bulk of your hunting practice include doing everything right to make the shot? Ok, so how do you practice getting yourself into position to make that heavily practiced shot? When I started shooting archery in my early 20s, I shot a youth bow set at a mere 18 pounds with a 26-inch draw length, aiming at a target only 10 yards away. Having arrowed my largest bull elk, I had come a long way. Practice and training made the perfect partnership for success. We're chasing rutting bulls in Montana this week on RMEF Team Elk with our partners at On X Maps. Don't miss it on the Outdoor Channel Tuesday 4:30PM, Wednesday 1:00AM, Thursday 10:30PM, Saturday 11:00PM EST. Wolf Management & Chuck Wicks- What does the hottest topic in conservation and one of the hottest country music stars have in common? They are both on RMEF Team Elk this week. Tune in and learn about the legal issues surrounding wolves and the impact they've had on elk from an attorney who has helped the Rocky Mountain Elk Foundation PLUS country music artist Chuck Wicks hunts elk in New Mexico. RMEF Team Elk Member Randy Newberg hunts public land in Wyoming with RMEF life member Mark Hirvonen, who’s dealing with health issues and wants to get just one bull in his lifetime. Team Elk airs on the Outdoor Channel Tuesday 4:30pm, Wednesday 1:00am, Thursday 10:30pm and Saturday 11:00pm EST. RMEF Team Elk member Kristy Titus helps 14-year-old Eli James on his first bull elk hunt. The James family from Indiana is a testament to what’s right with today’s families and youth. Eli and I had a great hunt and a ton of fun. Check it out....Airing on the Outdoor Channel Tuesday, Feb 10, 4:30 PM,Wednesday, Feb 11, 1:00 AM, Thursday, Feb 12, 10:30 PM, Saturday, Feb 14, 11:00 PM EST. Tune in this week and join me and John Caid in New Mexico at the Express UU Bar Ranch for a management bull hunt and see for yourself why we are now in the Golden Age of Elk Hunting. 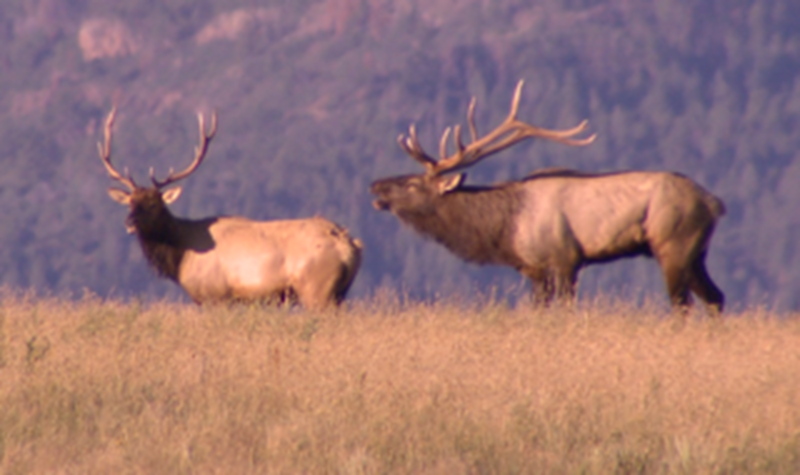 Team Elk airs on the Outdoor Channel Tuesday 4:30pm, Wednesday 1:00am, Thursday 10:30pm, and Saturday 11:00pm EST. The GMAs are the country’s premiere outdoor entertainment awards featuring programs that air on the Outdoor Channel. The ceremony will take place on Thursday, January 22, at The Venetian Theatre in Las Vegas during the annual Shooting, Hunting, and Outdoor Trade Show (SHOT Show) and Conference. Among the GMA presenters are Sarah Palin, Joe Mantegna, Craig Morgan and Eva Shockey. The event will include musical performances by Ted Nugent, Nate Hosie and Kari & Billy. For the first time ever, Outdoor Channel will be streaming the GMA live athttp://outdoorchannel.com/goldenmooseawards. And, fans can get real-time Golden Moose Awards updates and images from Outdoor Channel talent by following the #GoldenMoose hashtag on social media. 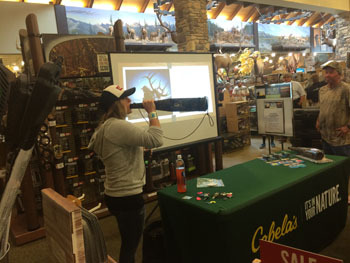 RMEF Team Elk, presented by Cabela’s and hosted by Brandon Bates, focuses on elk, elk habitat and elk hunting. Season five features great storylines and adrenaline-filled hunts that spotlight the beauty of the backcountry and the importance of conservation and our hunting heritage. Featured hunts include a Fort Hood shooting victim who finally realizes his dream of hunting elk after almost losing his life in the 2009 attack, a wounded warrior seeking to punch her elk tag in California and many more adventures. Continuing our hunt with Country Music Artist Easton Corbin at the Express UU Bar Ranch. RMEF’s Steve Decker also hunts for a management bull. Team Elk airs on the Outdoor Channel Tuesday at 4:30PM, Wednesday at 1:00AM, Thursday at 10:30PM and Saturday at 11:00PM EST. Country Music Artist Easton Corbin brings his uncle to the Express UU Bar Ranch to say thanks for introducing him to the outdoors. Team Elk Host Brandon Bates and Pete Angle hunt for a big 5x5 bull in New Mexico. RMEF Member Tim Compton hunts in Utah and tries to complete his 30 year quest for an archery elk.